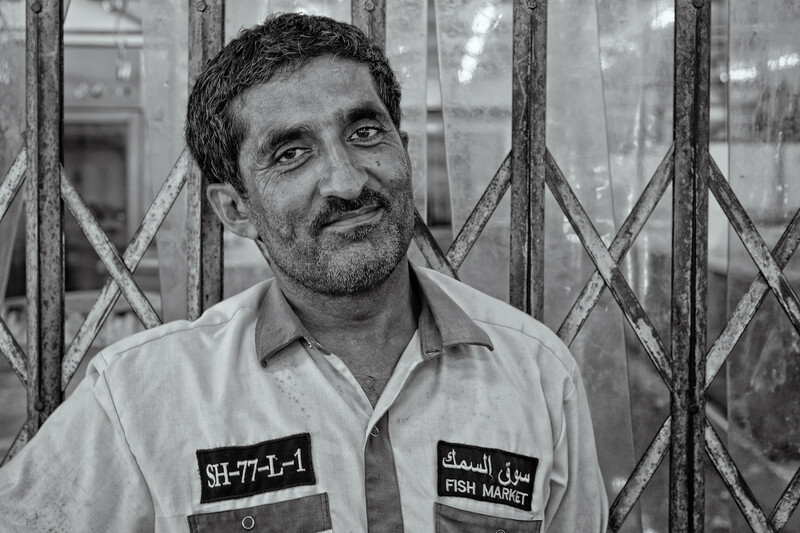 What is often referred to as the "Old Dubai", is by far my favourite place to shoot Street Photography in Dubai! Along the Creek (inlet of the Arabian Gulf), Old Dubai is made of two parts; Deira on the East and Bur Dubai on the Westbank of the Creek. 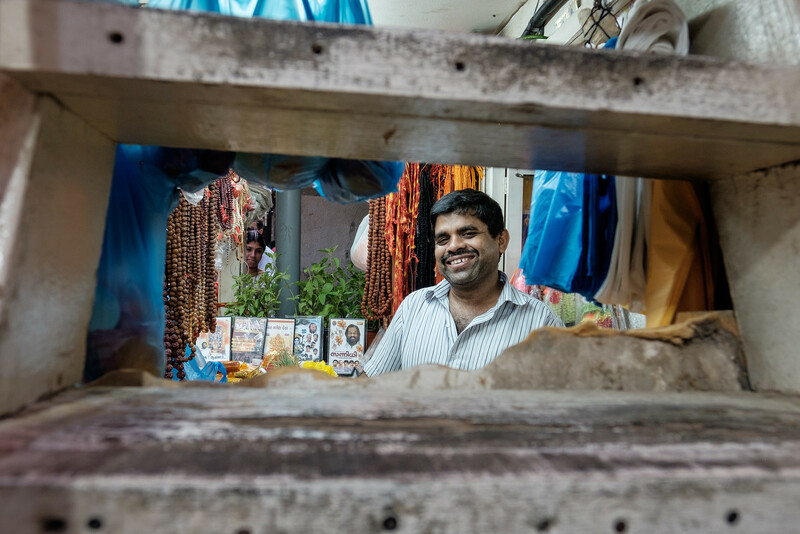 While one finds several souqs (open markets) along both sides of the Creek, the Textile souq in Bur Dubai is probably the most busy one! I combine both areas together in a large gallery called, "Life at the Creek". On my last visit to the area, I spotted this Pakistani shoe seller and was attracted by his reflection in a mirror. When I showed him the image afterwards, he was so excited, he immediately wanted a copy of the image. Using the Fujifilm Wifi remote app combined with the Wifi capability of the camera, I was able to email him the image straight away! For the ones that missed it, last week I was the guest speaker in the hugely popular "Street Focus" podcast, part of the TWiP (This Week in Photo) network and run by French Street Photographer Valérie Jardin. 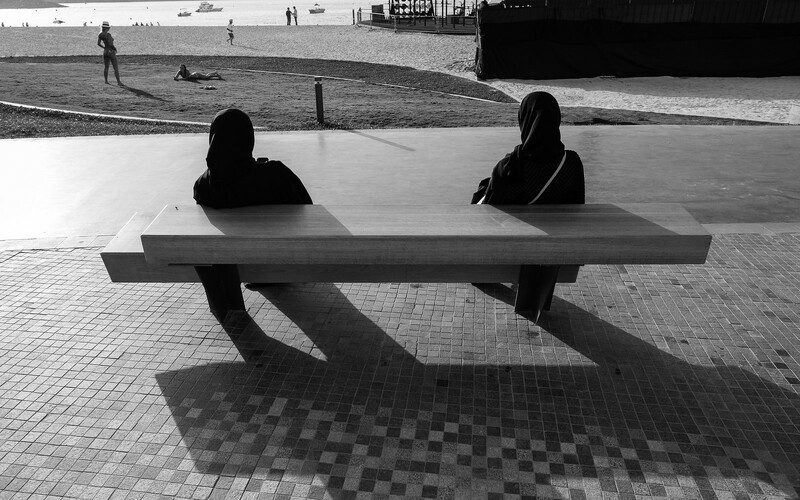 I was invited for her "Streets of the World" series, where I discuss the Street Photography scene in Dubai in a one hour interview. A direct link to the podcast page can be found here. 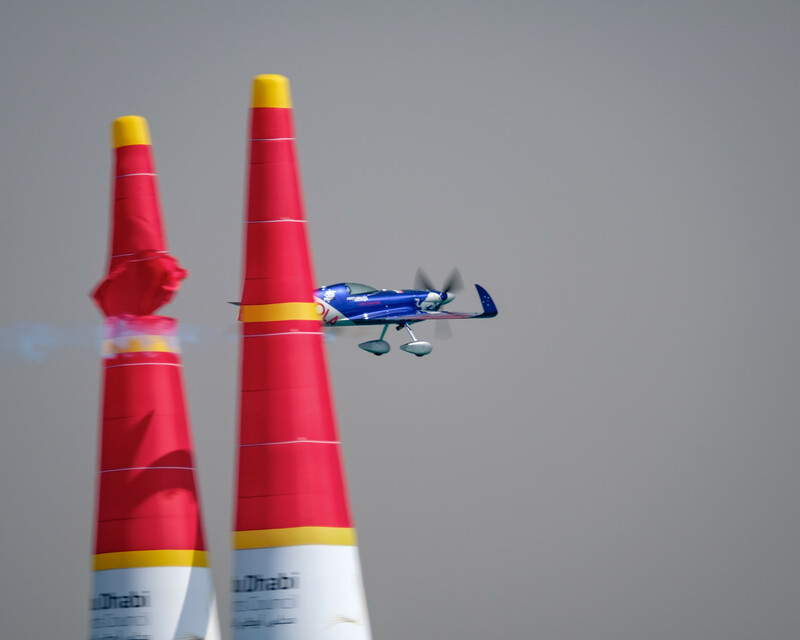 "When people ask me what equipment I use, I tell them by eyes"
On Saturday March 12, 2016, I attended the Red Bull Air Races in Abu Dhabi (UAE); shooting for some European and Middle Eastern, Aviation magazines, the organisers were kind enough to give me media accreditation. After my "First look reviews in mid January, this would be by first "real life test" of the new Fujifilm X-Pro2 and XF 100-400 lens! A long lens, shooting beyond 300mm (full frame equivalent), is pretty much a must when one wants to shoot an airshow or air race. 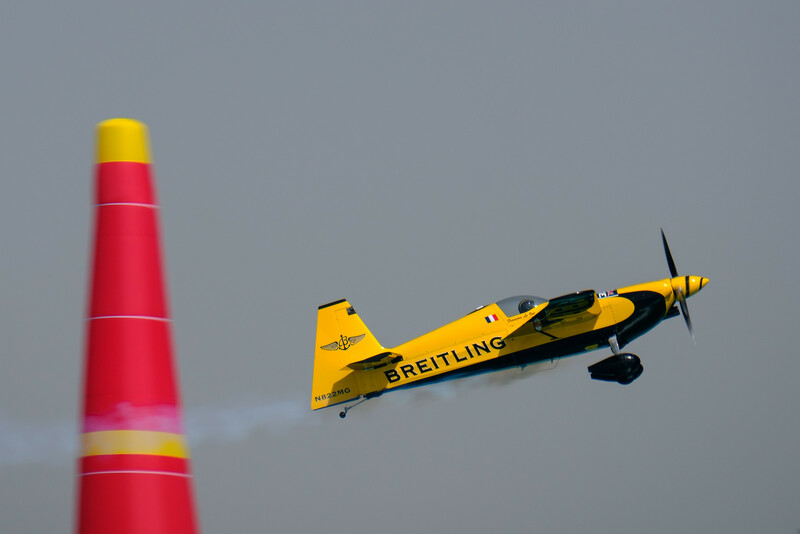 First organised in 2003, the Red Bull Air Races have quickly become one of the fastest and most exhilarating motorsport series on the planet. 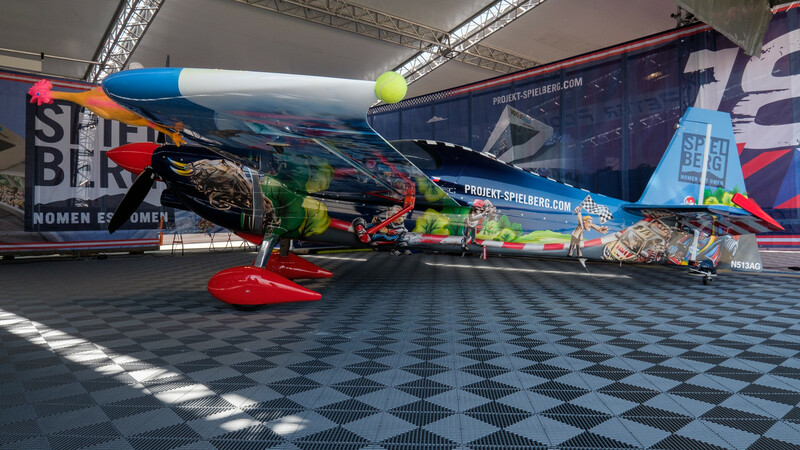 The Reno Air Races in Nevada (US) might be faster, but the championship organised by energy drink think-thank, is definitively more spectacular! 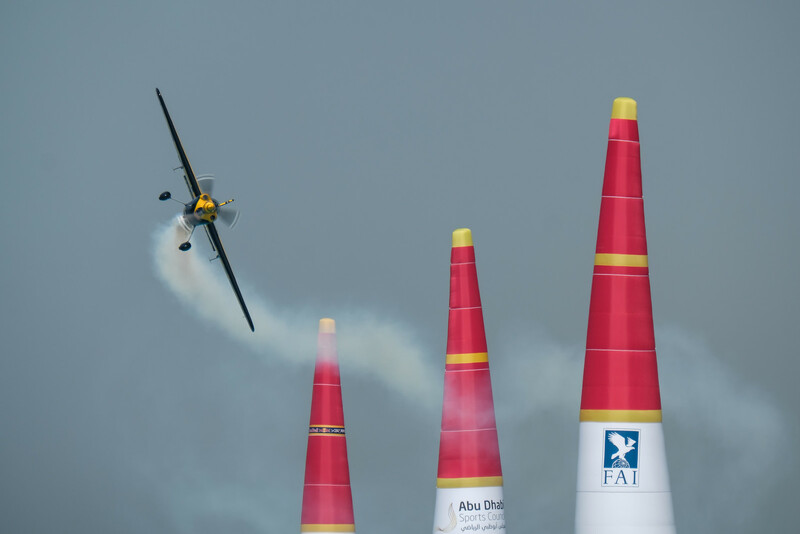 For the ones not familiar with the Red Bull Air Race format, in the Master class, 14 pilots are competing for the fastest time along a set course, laid out between 25m nylon pylons; a visual spectacle like no other! Although the early afternoon light was far from optimal in Abu Dhabi (main grounds facing southeast), shooting this new combo was a blast! The improved autofocus speed together with the fast refresh rate of the new X-Pro2 processor was really enjoyable and definitively a step up from shooting the X-T1. I did however at times miss the brightness of my X-T1 viewfinder and the fact that one can not mount an extended eye piece on the X-Pro2. 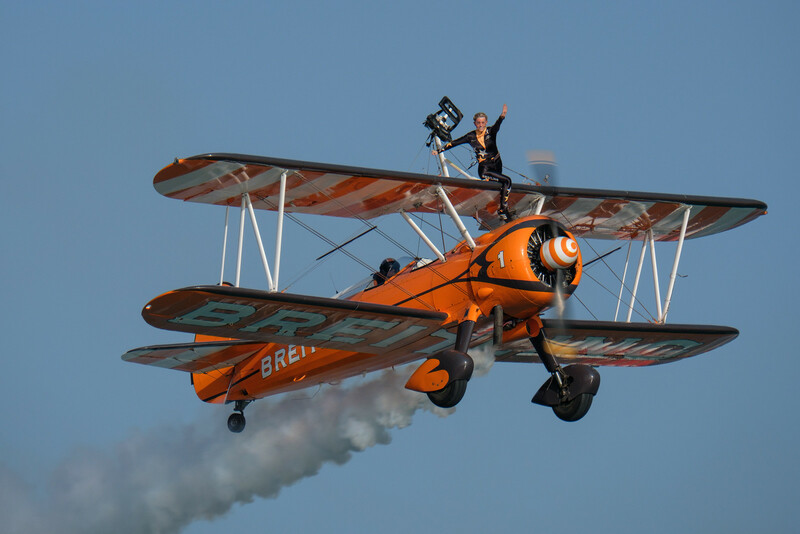 Because of the speed of the action, this is probably one of the most challenging Aviation Photography events to shoot. And not all photographers seemed to be aware about its challenges! While I was standing in front of the media stand, I overheard two "professional newspaper photographers" discus their shutter speeds; shooting at more than 1/4000s they were clearly no aviation photographers! Such high shutter speeds, lead to the prop being completely stopped; something that pilots hate when it happens in the actual airplane, but also something that is to be avoided as an Aviation Photographer! Depending on the engine speed of the plane, one needs to shoot a maximum 1/400s to have a reasonable amount of "prop blur" and end up with a pleasing image. Shooting jets on the other hand is much easier as one can use much higher shutter speeds (no props turning in a jet). 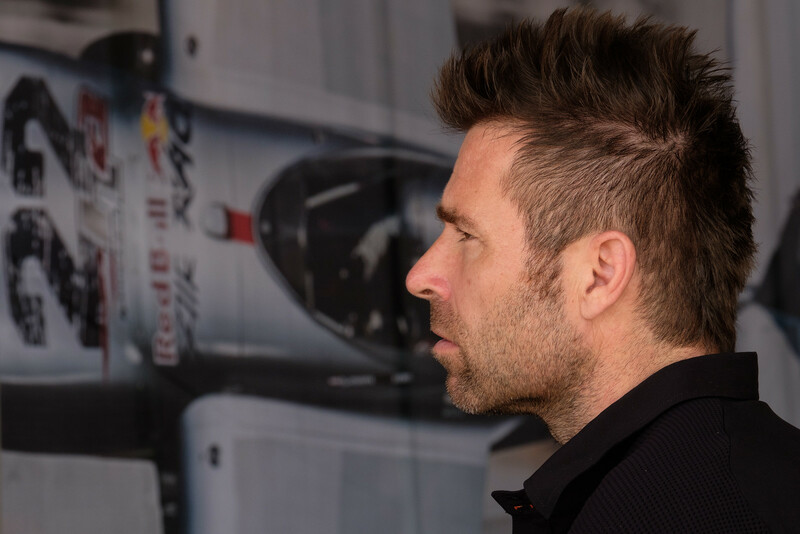 Back to the races itself; two legends of the Master class have left the race circuit this year; three times world champion Paul Bonhomme (UK) and master mind and developer of the Red Bull Air Races, Hungarian Peter Besenyei. Both are making place for two new pilots who worked their way up through the rookie, now called, "Challengers" class. Almost all of the Master class competitors for the 2016 race, fly the Edge 540, while Nigel Lamb and Matt Hall are still flying their MXS-R racers. The pilots of the Challenger Class all fly the Extra 330LX, which is ideal for new race pilots. Just like previous years, the opening race for the 2016 season was held over the beautiful emerald waters of the Abu Dhabi Corniche in the capital of the UAE. About 5 miles south of the track, is the "race airport", Al Bateen Excecutive, where the race planes are being meticulously prepared in what looks like a Fomula one like pit area. The race had beautiful weather with light winds and blue skies; unlike the Abu Dhabi Air Expo, which except for the last day, was pretty much rained out. 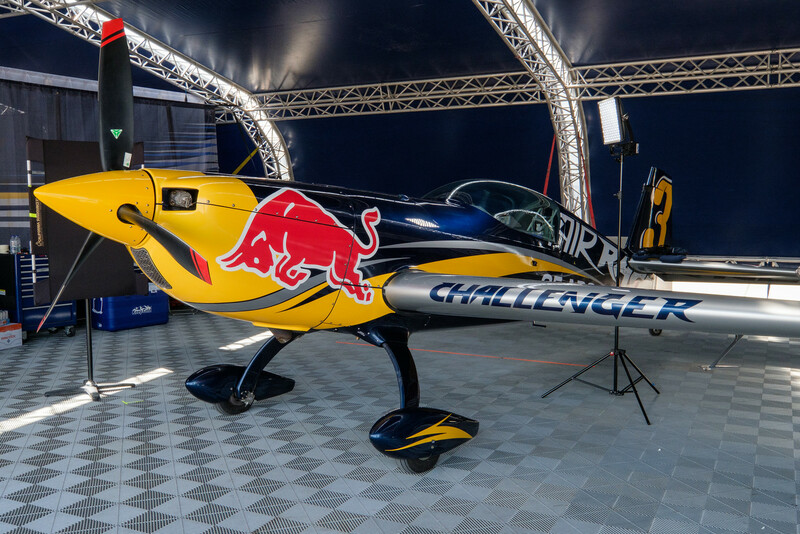 When the Red Bull Air Races returned in 2014 after a three-year hiatus, it brought with it the introduction of standardised engines and propellers, leading to a more level playing field and some stricter safety rules, after a few close calls in the preceding years. 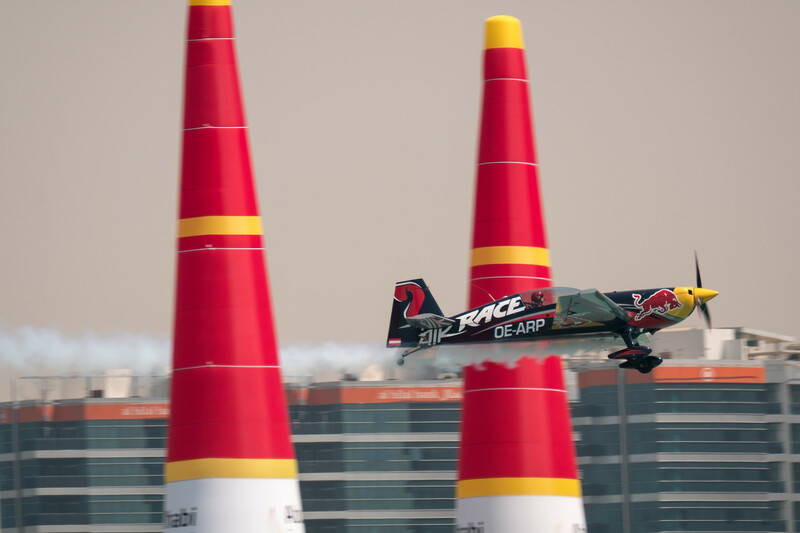 Failure to fly along the racetrack correctly, results in penalty seconds or disqualification, the latter being due to either excessive G-forces (>10g), a too high entry speed (200kts but 180kts in Abu Dhabi) at the start gate or breaching the safety crowd line. 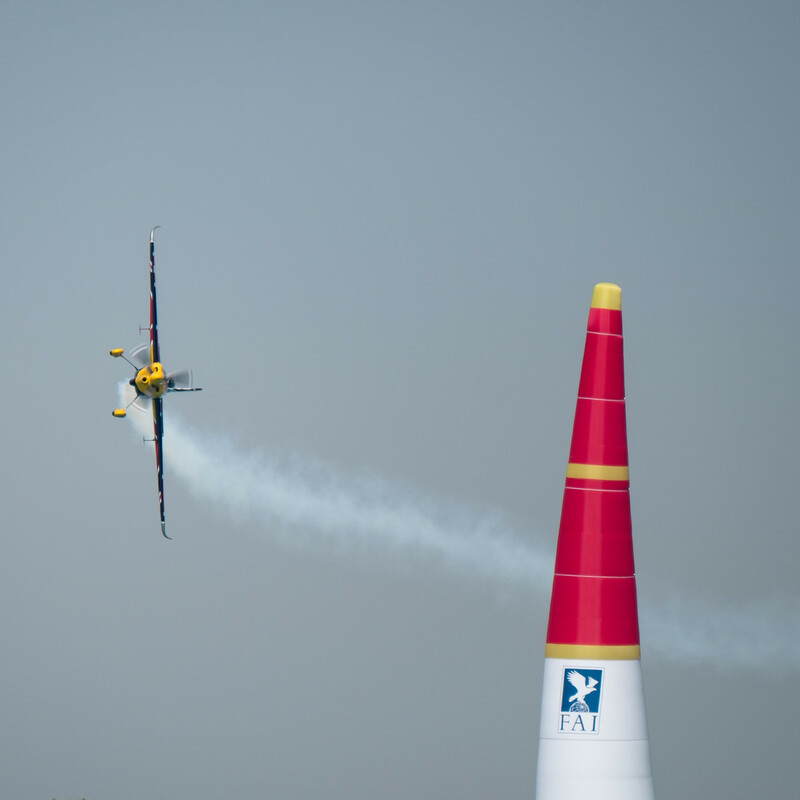 Less common but surely spectacular are pylons hits; something Australian pilot Matt Hall, the nr 1 ranked to win, experienced in the round of 14. While they have to be sturdy enough to stand straight in stronger winds, the air gates are made of spinnaker fabrics, which rip immediately on impact. In order to get the best potential of the X-Pro2 processor, I did use a fast SD card to shoot uninterrupted at 8 frames per second and freeze the action! 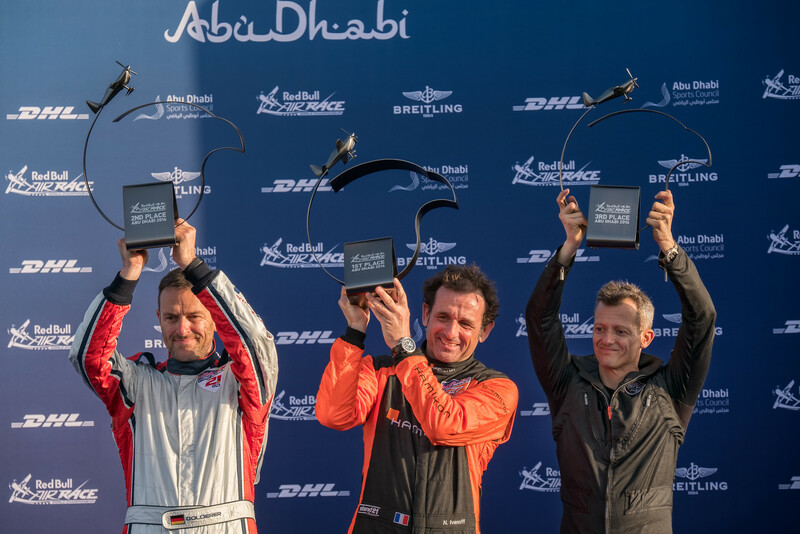 In Abu Dhabi, both the first and third podium places were taken by French pilots; Nicolas Ivanoff won the final race with just 1/10th of a second from the German Matthias Dolderer; while Francois Le Vot took his first ever podium place, after having entered the master class last year! Beside the pilots, both the X-Pro2 and the 100-400 lens also stood up to the task. There is however a learning curve for photographers that come from the DSLR camp. Personally I remained in Single shot rather than Continuous autofocus for most of the images. At times it did however feel slightly strange to use a "rangefinder like camera" like the X-Pro2 with a long super telephoto lens... Can't wait to see if Fujifilm will announce a X-T1 replacement (X-T2?) this year? More of Aviation Photography can be found here. Cleared into the track, smoke on! 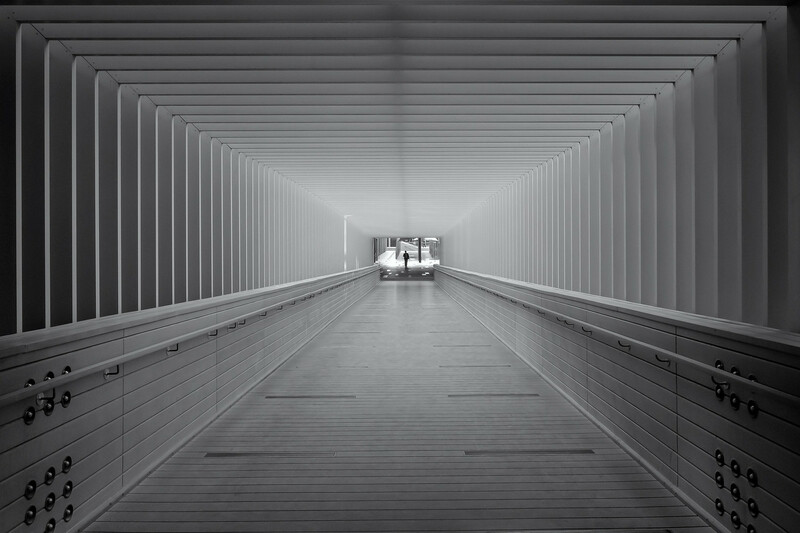 PS: This post is my "500th" blogpost on Bjorn Moerman Photography! A few weeks ago, renown French Street Photographer, Valérie Jardin, interviewed me for her hugely popular "Street Focus" podcast; part of the even bigger TWIP (This Week in Photo) network podcast series! If you interested in Street Photography, make sure you add the podcast to your favourite podcast application. 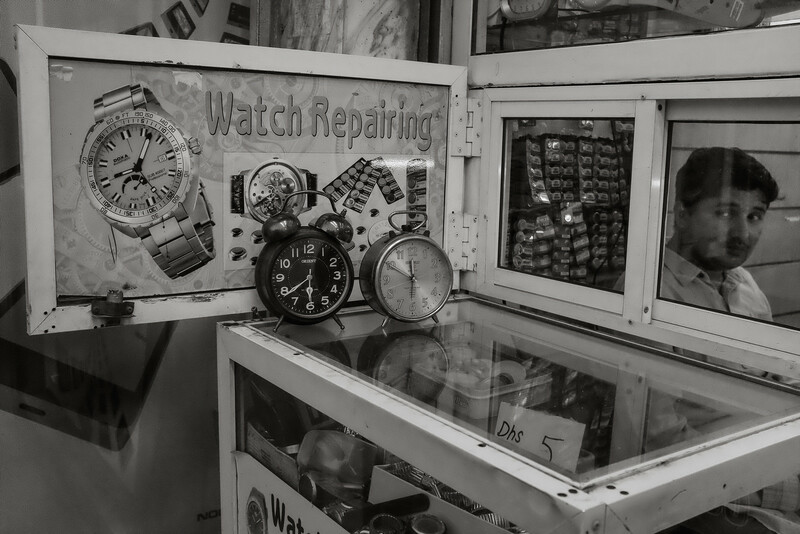 While there is a variety of different themes (Q&A, interviews, etc...) on the Street Focus podcast, about once a month Valérie interviews a Street Photographer to discuss a certain city. This months episode features myself as the guest speaker for Dubai. Click here for a direct link. The casual 1 hour chat can be found here. Click here for a detailed google map with all the locations being discussed can be found. Towards the end, I touch on some of the Street Photography locations out of urban Dubai, such as the Camel race track, Fruit and Vegetable market, Grand Mosque in Abu Dhabi, Bull Butting contest in Fujairah and last but not least Sonapur on the border with Sharjah. Unfortunately, we were restricted to one hour, as there was much more to talk about! Valérie, thanks again for having me! In front of the Worlds highest building, the 820 m Burj Khalifa in Dubai, one finds a statue that needs a bit of explanation! It consists of a hand with three fingers pointing up; the "Three finger salute" has been the trademark sign of Sheikh Mohammed bin Rashid al Maktoum, ruler of Dubai, since 2013. While the thumb stands for "Win", the V shape stands for "Victory" and the three come together as a declaration of "Love". The day I was photographing the Win-Victory-Love sign, some high altitude cirrus clouds rolled in, making for a great backdrop! More images featuring the Burj Khalifa can be found here. After I reviewed the new Fujifilm XF 100-400 lens, I knew pretty much straight away, that I would buy one myself. End of February this became a fact. Last year, I started a personal project called "Sandscapes", a wordplay on landscapes, where I photograph interesting patterns in sand; i.e. mainly in the desert. When the light is right, these patterns can have some very interesting shapes. The image below is titled "desert waves", clearly due to its resemblance of its marine counterparts. Although the new year is barely 12 weeks old, I feel this will probably be one of my favourite images of 2016... I can clearly see it hanging on a wall as a nice large print! Make sure, you click on it, in order to fully enjoy the full screen view. 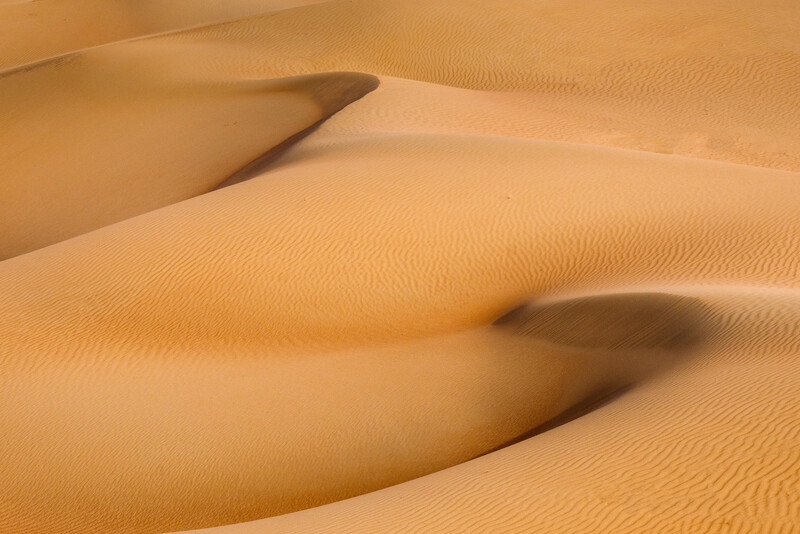 The image "Desert Waves" is now also part of my "Nature of the UAE" and "Travel portfolio " galleries. Many of you probably know that I have a real passion for aerial photography, not the drone thing but mostly out of an actual aircraft/helicopters/balloons which is much more fun! It is debatable whether rooftop photography is also a way of aerial photography but this is my first go at it in Dubai! 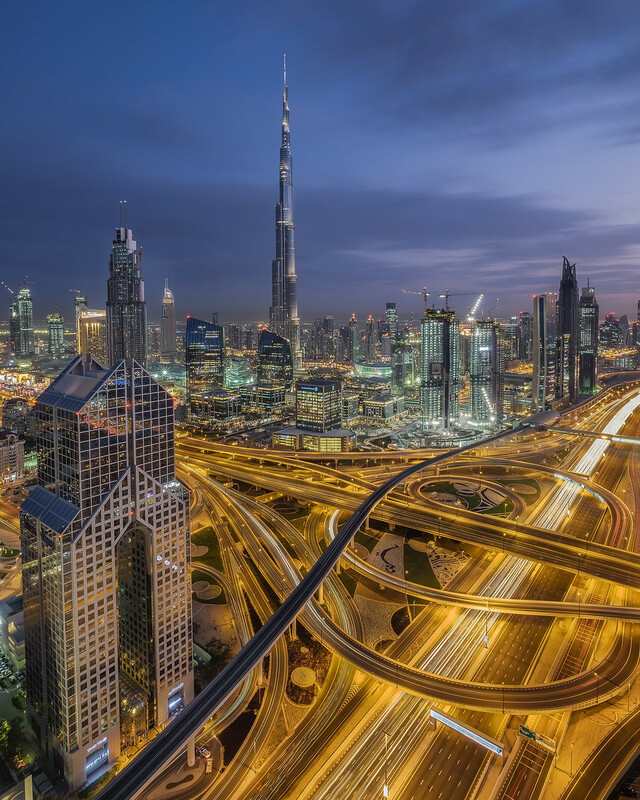 "Just another rooftop shot from Dubai", is exactly that... we nowadays see so many of these images from Dubai Photographers but as an aerial photographer, I wanted to have my take on it! It was taken at an undisclosed place on Sheik Zayed road; I'm sure one can easily do some research on Google Earth/Maps and find out where it was taken from, however I elect not to share the info here. Shot during the blue hour (15min after sunset to be exact), looking southwest towards the Burj Khalifa (worlds highest tower), the Dusit Thani hotel can be seen on the extreme left. The Architecture of this hotel symbolises the "Wai", a typical Thai greeting where both hands are placed on each other in a prayer like fashion. 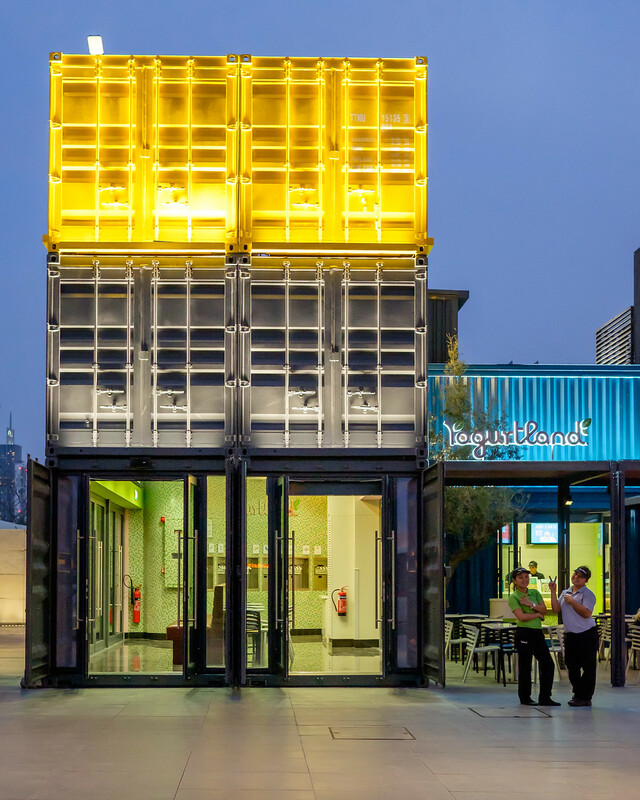 I was particularly attracted to the complementary colours, blue and yellow and fascinated by the extreme dense traffic going towards Dubai, with an almost empty Sheik Zayed road going the other way. There is something to be said about the contrast of the mad rush downstairs and the calm on one of the rooftops; a place where I could easily have stayed much longer! The large spiderweb of roads in the foreground is called "Defense roundabout"; a crossing that used to consist of a small roundabout, but that has changed drastically over the last 10 years. Exactly 20min earlier (5 mins before sunset), I shot an almost identical image, which can be found here. I would be interested to hear which one of the two you prefer. Thanks for leaving a comment below! Because I'm suffering from a bit of an image backlog lately, this weeks Pic(k) of the week was shot mid February on my skitrip to Austria... While I already shared an image from that trip in my Pic(k) of the week 7: "Blue hour in the Austrian Alps", the one below was shot while skiing higher up in the mountains. On previous skitrips, I used to take the majority of the images with my iPhone while skiing, but was never really photographically satisfied... While the new X-70 (review here) was not available for my skitrip, I had to find another solution... I decided to go as small and light as possible and took the Fujifilm X-T10 and 27mm pancake lens with me. A camera/lens combination which is only marginally larger than the X-70. Including the family stuff, I ended up taking a few hundred images during the 7 days trip, with a collection of about 40 images making it into their own "Leogang Feb 2016" gallery. Compared to other years, I'm much more satisfied with the end result of the gallery images; obviously largely due to carrying the better camera! Although neither the X-T10 nor the 27mm lens, are weather sealed, I did not have a single problem on the trip; even after I dropped my camera in more than 50 cm of deep snow on the side of the mountain and I shot in temperatures down to -10C. The only downside was that my batteries needed to be changed a little faster. Don't forget that after batteries are warmed up again (put them in a pocket close to your body), they are often good to be used for another 50-100 shots! 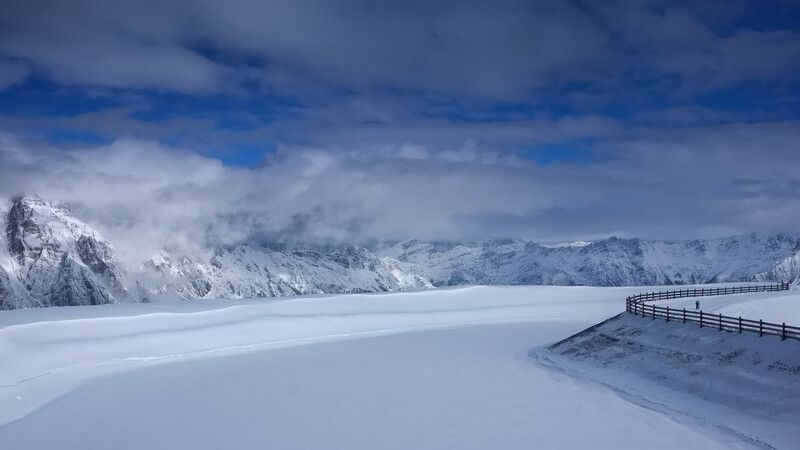 The image below is of a beautiful small mountain lake on the side of one of the ski slopes, which was completely frozen. Beside the deep blue skies at higher altitudes, it was the single skier in the extreme right of the frame that made the image complete for me! Click on the image above for a full screen view.